The festival will open with A Star Is Born, which has recently stormed its way into movie theaters in the USA, directed by Bradley Cooper, who also appears in it with co-star Lady Gaga. The closing screening will feature The Sisters Brothers by Jacques Audiard, awarded the Silver Lion as Best Director at the Venice Film Festival. The adaptation of the bestselling novel by Patrick deWitt features star performances by John C. Reilly, Joaquin Phoenix and Jake Gyllenhaal. The film combines the best elements of absurd comedy in the vein of the Coen Brothers with epic, Marlon Brando era westerns. The festival line-up includes Boy Erased, a moving drama which was a hit of the Toronto Festival, directed by Joel Edgerton and starring Lucas Hedges, Nicole Kidman and Russell Crowe. The Mountain, the new film by Rick Alverson, who directed The Comedy (3rd AFF) and Entertainment (6th AFF) will also be screened in Wrocław. The main characters in the film are played by Jeff Goldblum and Tye Sheridan (the star of Steven Spielberg's Ready Player One), who will attend the festival as a guest. The festival will also feature the only pre release screening in Poland of Suspiria, the latest movie by Luca Guadagnino, the director of Call Me By Your Name. The AFF program will also include: Damsel by David Zellner and Nathan Zellner - a twist on the classic western genre starring Robert Pattinson and Mia Wasikowska, Don't Worry, He Won't Get Far on Foot by Gus Van Sant, starring the excellent Joaquin Phoenix, Leave No Trace, the new film by Debra Granik - one of the most important women in independent American cinema, Her Smell by Alex Ross Perry - starring Elisabeth Moss known for The Handmaid's Tale, the psychedelic Mandy by Panos Cosmatos with the brilliant Nicolas Cage, Jennifer Fox's The Tale with Laura Dern, The Miseducation of Cameron Post by Desiree Akhavan (starring Chloë Grace Moretz in the title role), High Life directed by Claire Denis (an innovative drama with Robert Pattinson), Assassination Nation by Sam Levinson, and The Hate U Give by George Tillman Junior. We are also going to showcase Ethan Hawke as director of Blaze and as actor in First Reformed. The line-up will include some of the most important US documentaries of the past year, such as Free Solo byJimmy Chin, Three Identical Strangers by Tim Wardle, Weed The People by Abby Epstein, and RBG by Julie Cohen. The American Film Festival's hallmarks include its competitions: Spectrum (with 12 movies) - a review of the latest trends and young talents in US cinema, and American Docs (15 movies) - featuring widely-publicized documentaries presenting the various faces of America. Viewers will rate the films competing for awards in two categories: fiction and documentary. BNY Mellon is the sponsor of the awards in both competitions. The protagonist of this year's retrospective is Hal Ashby, one of the leading New Hollywood filmmakers, a rebel with cult status who lived and breathed the 1968 revolution. During the 9th AFF, we will see 7 of his films (including Harold and Maude and Shampoo) as well as Hal, Amy Scott's documentary shown at Sundance. Alexandre Rockwell and Sara Driver will come to Wrocław to collect the Indie Star Award, which recognizes outstanding independent US filmmakers. Alexandre Rockwell's work includes In the Soup, awarded at Sundance, as well as The Wrong Man, part of Four Rooms, the anthology film co-directed by Quentin Tarantino. 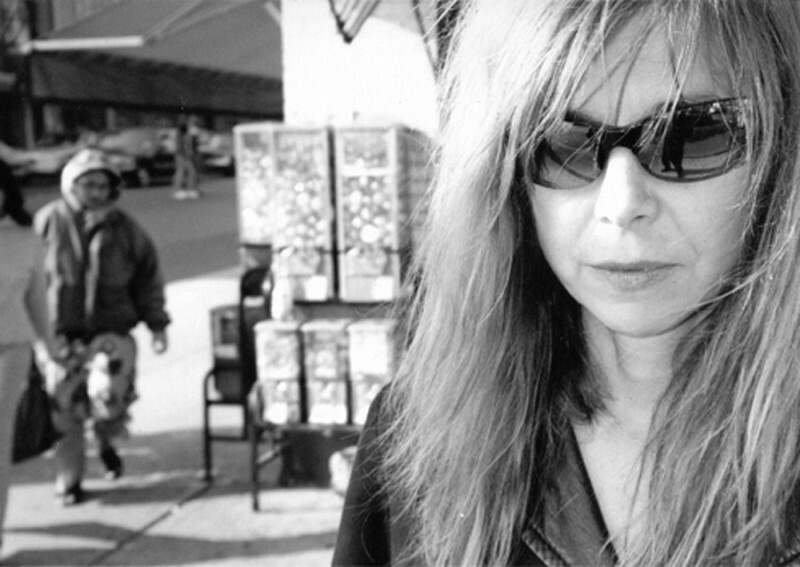 Sara Driver, producer of Jim Jarmusch's early films (and his partner), who also directed critically-acclaimed fiction and documentary works, including the latest one: Boom for Real: The Late Teenage Years of Jean-Michel Basquiat, will also be joining us in Wrocław. US in Progress, our industry event, will be held for the eighth time, thanks to the support of the Ministry of Culture and National Heritage, and the main partner is Papaya Films. As part of the project, Polish post-production companies provide help in the process of completion of independent US productions, while producers learn about the co-production conditions in Poland and meet potential partners in the Polish film industry. Tickets for individual screenings go on sale on Thursday, October 11, at noon.